Your Driver Services provides also a chauffeur service with skilled drivers in the tourism domaine, alowing you to discover the magnificent Belgian heritage. 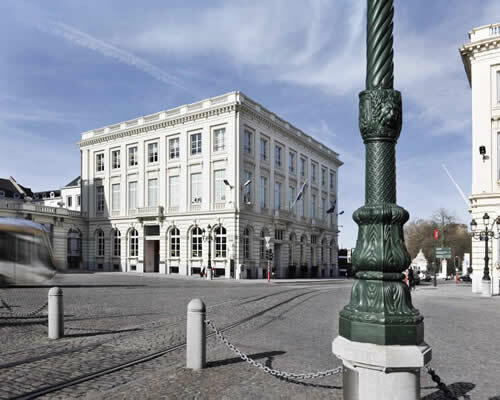 Private chauffeur service and at request we can provide a professional guide service, in order to visit Brussels and its famous Grand-Place, Bruges and its old town, Anvers and its wonderful architectural heritage, or other Belgian cities. A capital of European wingspan which dresses aspects of provincial city: a very nice mixture for whoever puts down its suitcases to Brussels. 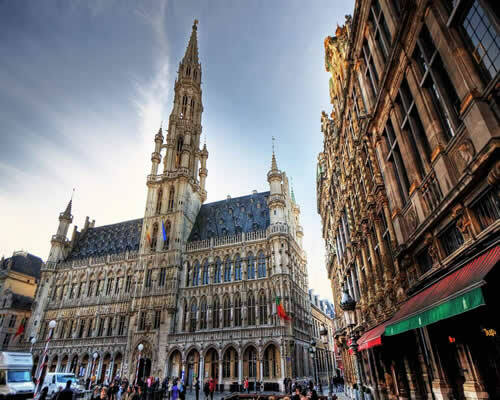 The "most wanted" 5 places to see in Brussels. You simply cannot remain insensible to the charm of this place. In the middle of this sacred "island", you can find a harmonious group of buildings dating the XVIIth century, like the city hall, gothic style, as well as one of the most splendid tourist offices regrouped there. The square is a place of festivity several times in year. 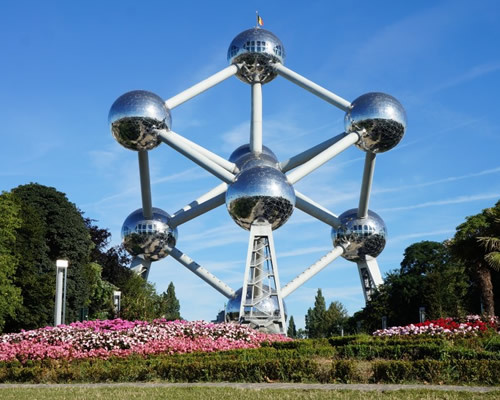 Imagined and build with the occasion of the big World fair which took place in Brussels in 1958, it is represented by the basic stitch of iron crystal extended on a scale of 165 billion times. We can also see in his nine spheres, a reference to the nine Belgian provinces which formed the country back in the days. Enjoy with your private driver. For those of you unfamiliar with René Magritte, he was a surrealist painter and probably the world’s most famous Belgian artist. His paintings depict everyday objects such as apples, men in bowler hats, umbrellas, stones and pipes in odd arrangements and juxtapositions. The Musée Magritte opened June 2nd 2009 to showcase the Royal Museum of Fine Arts of Belgium’s collection of over 200 of Magritte’s works under one roof. While some people visiting Brussels seem to more or less randomly stumble upon the glass-and-steel buildings dominating much of the European Quarter, others come specifically because of them. 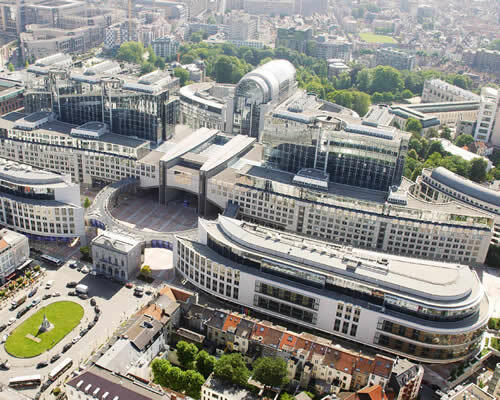 They travel to Brussels to experience one or more of the European Institutions first hand, and while for some the visit to the Parliament is mainly a mandatory part of their tour, others look forward to hearing members of the European Parliament explain their work to them. Classified in the world heritage of the UNESCO for its Gothic architecture and its masterpieces, Bruges is one of the most visited cities in Belgium. Because of its famous channels and architectural marvels this magic place will definitely travel you back in time. 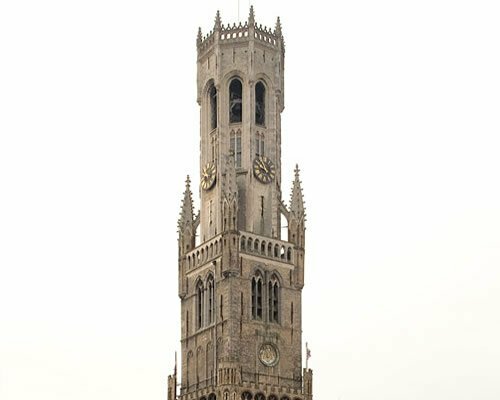 The Belfry of Bruges is a medieval bell tower in the centre of Bruges, Belgium. One of the city's most prominent symbols, the belfry formerly housed a treasury and the municipal archives, and served as an observation post for spotting fires and other danger. 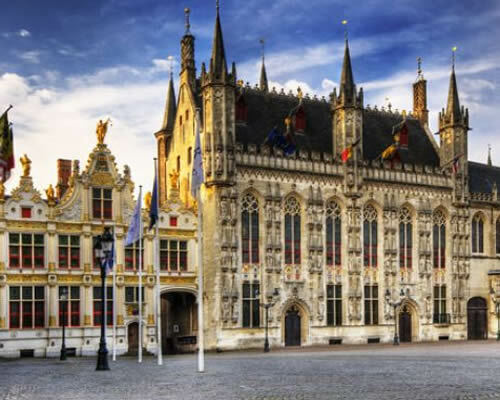 Bruges’ City Hall (1376) is one of the oldest in the Low Countries. 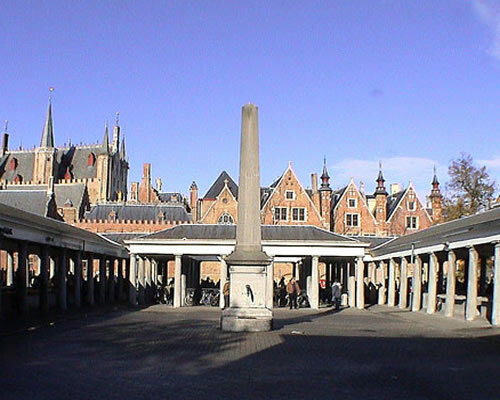 It is from here that the city has been governed for more than 600 years. An absolute masterpiece is the Gothic Hall with its late 19th-century murals and polychrome vault. In the historic chamber next door original documents and artefacts are used to evoke the history of the city’s administration through the centuries. 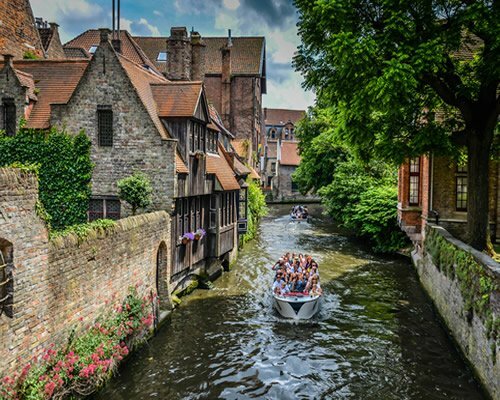 The canals of Brugge are most likely the lasting image of the city that most visitors will leave with, and taking a cruise on the canals is a great way to see a slightly different aspect of the city. There are quite a few different canal cruise operators you will find as you walk around, and the average trip will take between 35 to 40 minutes. At first, fish was sold on one of the Markt’s corners, but as the townspeople complained about the stench, the fishmongers were forced to move and sell their wares here. In the covered arcade (1821), specially erected for the purpose of selling fish, fresh seafish was sold, a delicacy that only the rich could afford. Today you can still buy your fresh saltwater fish here every morning from Wednesday to Saturday. 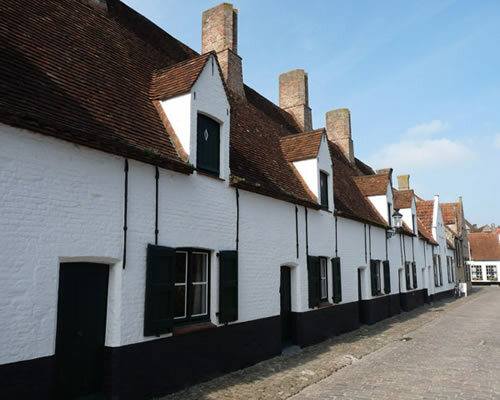 These renovated 17th century, single room dwellings accommodate, amongst other things, a classroom, a millinery, a pharmacy, a confectionery shop, a grocery shop and an authentic bedroom interior.